докт. техн. наук, профессор Университета Тохоку (2-1-1 Катахира, Аоба-ку, Сендай, 980-8577, Япония). 1. Buckel W., Hilsch R. Einflub der Kondensation bei tiefen temperaturen auf den elektrischen widerstand und die supraleitung für verschiedene metalle. Z. Phys. 1954. Bd. 138. S. 109—120. 2. Klement W., Willens R. H., Duwez P. Non-crystalline structure in solidified Gold-Silicon alloys. Nature. 1967. Vol. 187. P. 869. 3. Angell C.A. Structural instability and relaxation in liquid and glassy phases near the fragile liquid limit. J. Non-Cryst. Solids. 1988. Vol. 102. P. 205. 4. Chen H.S. Thermodynamic consideration on the formation and stability of metallic glass. Acta Metall. 1974. Vol. 22. P. 1505. 5. Kui H. W., Greer A. L., Turnbull D. Formation of Bulk Metallic-Glass by Fluxing. Appl. Phys. Lett. 1984. Vol. 45. P. 615. 6. Inoue A. Stabilization of metallic supercooled liquid and bulk amorphous alloys. Acta Mater. 2000. Vol. 48. P. 279. 7. Johnson W.L. Bulk glass-forming metallic alloys: Science and technology. MRS Bull. 1999. Vol. 24. P. 42. 8. Чердынцев В.В., Калошкин С.Д., Томилин И.А. Взаимодействие порошка железа с кислородом воздуха при механоактивации // ФММ. 1998. T. 86. No. 6. C. 84—89; Cherdyncev V.V., Kaloshkin S.D., Tomilin I.A. Vzaimodejstvie poroshka zheleza s kislorodom vozduha pri mehanoaktivacii [Iron powder interaction with air oxygen at mechanoactivation]. Fizika metallov i metallovedenie. 1998. Vol. 86. No. 6. P. 84—89. 9. Глезер А.М., Сундеев Р.В., Шалимова А.В. Склонность металлических кристаллов к аморфизации в процессе мегапластической (интенсивной) деформации // Доклады Академии наук. 2012. Т. 447. No. 2. Р. 158—161; Glezer A.M., Sundeev R.V., Shalimova A.V. Sklonnost’ metallicheskikh kristallov k amorfizatsii v protsesse megaplasticheskoi (intensivnoi) deformatsii [The tendency of metal crystals to amorphization in megaplastic (intensive) strain]. Doklady Akademii nauk. 2012. Vol. 447. No. 2. P. 158—161. 10. Yamasaki T., Schlossmacher P., Ehrlich K., Ogino Y. Formation of amorphous electrodeposited Ni—W alloys and their nanocrystallization. Nanostruct. Mater. 1998. Vol. 10. P. 375. 11. Бражкин В.В., Волошин Р.Н., Ляпин А.Г., Попова С.В. Квазипереходы в простых жидкостях при высоких давлениях // УФН. 1999. T. 169. C. 1035—1039; Brazhkin V.V., Voloshin R.N., Ljapin A.G., Popova S.V. Kvaziperehody v prostyh zhidkostjah pri vysokih davlenijah [Quasitransitions in simple liquids with high pressures]. Uspehi fiz. nauk. 1999. Vol. 169. Р. 1035—1039. 12. Matsubara E., Waseda Y. Structural studies of new metallic amorphous alloys with wide supercooled liquid region. Mater. Trans. JIM. 1995. Vol. 36. P. 883. 13. Louzguine-Luzgin D.V., Antonowicz J., Georgarakis K., Vaughan G., Yavari A. R., Inoue A. Real-space structural studies of Cu—Zr—Ti glassy alloy. J. Alloys Comp. 2008. Vol. 466. P. 106. 14. Bernal J.D. Geometry of the Structure of Monoatomic Liquids. Nature. 1960. Vol. 185. P. 68. 15. Miracle D.B. The efficient cluster packing model — An atomic structural model for metallic glasses. Acta Mater. 2006. Vol. 54. P. 4317. 16. Sheng H.W., Luo W.K., Alamgir F.M., Bai J.M., Ma E. Atomic packing and short-to-medium-range order in metallic glasses. Nature. 2006. Vol. 439. P. 419. 17. Oreshkin A.I., Mantsevich V.N., Savinov S.V., Oreshkin S.I., Panov V.I., Maslova N.S., Louzguine-Luzgin D.V. Direct visualization of Ni—Nb bulk metallic glasses surface: From initial nucleation to full crystallization. Appl. Phys. Lett. 2012. Vol. 101. No. 18. P. 181601. 18. Hirata A., Kang L.J., Fujita T., Klumov B., Matsue K., Kotani M., Yavari A.R., Chen M.W. Direct observation of local atomic order in a metallic glass. Science. 2013. Vol. 341. P. 376—379. 19. Hirata A., Hirotsu Y., Ohkubo T., Tanaka N., Nieh T.G. Local atomic structure of Pd—Ni—P bulk metallic glass investigated by high-resolution electron microscopy and electron diffraction. Intermetallics. 2006. Vol. 14. No.8-9. P. 903. 20. Louzguine-Luzgin D.V., Yavari A.R., Vaughan G., Inoue A. Clustered crystalline structures as glassy phase approximants. Intermetallics. 2009. Vol. 17. No. 7. P. 477—480. 21. Louzguine-Luzgin D.V., Belosludov R., Yavari A.R., Georgarakis K., Vaughan G., Kawazoe Y., Egami T., Inoue А. Structural basis for supercooled liquid fragility established by synchrotron-radiation method and computer simulation. J. Appl. Phys. 2011. Vol. 110 . P. 043519. 22. Sheng H., Liu H., Cheng Y., Wen J., Lee P.L, Luo W., Shast-ri S.D., Ma E. Polyamorphism in a metallic glass. Nat. Mater. 2007. Vol. 6. P. 192 . 23. Louzguine-Luzgin D.V., Wada T., Kato H., Perepezko J., Inoue A. In situ phase separation and flow behavior in the glass transition region. Intermetallics. 2010 . Vol. 18. Nо. 6. P. 1235 - 1239. 24. Louzguine-Luzgin D.V., Seki I., Yamamoto T., Kawaji H., Suryanarayana C., Inoue A. Double-stage glass transition in a metallic glass. Phys. Rev. B. 2010. Vol. 81. P. 144202. 25. Cohen M.H., Grest G.S. Liquid-glass transition: a free volume approach. Phys. Rew. 1979. Vol. 20. P. 1077. 26. Beukel A. Van Den, Sietsma J. The glass transition as a free volume related kinetic phenomenon. Acta Metall. Mater. 1990. Vol. 38. P. 383. 27. Kauzmann W. The Nature of the Glassy State and the Behavior of Liquids at Low Temperatures. Chem. Rev. 1948. Vol. 43. P. 219. 28. Louzguine-Luzgin D.V., Inoue A. The outline of glass transition phenomenon derived from the viewpoint of devitrification process. Physics and Chemistry of Glasses: Eur. J. Glass. Sci. Technol. Pt. B. 2009. Vol. 50. Nо. 1. Р. 27—30. 29. Molokanov V.V., Petrzhik M.I., Mikhailova T.N., Sviridova T.A., Djakonova N.P. Formation of bulk (Zr,Ti)-based metallic glasses. J. Non-Cryst. Solids. 1999. Vol. 250—252. P. 560—565. 30. Louzguine-Luzgin D.V., Miracle D.B., Louzguina-Luzgina L., Inoue A. Comparative analysis of glass-formation in binary, ternary, and multicomponent alloys. J. Appl. Phys. 2010. Vol. 108. P. 103511. 31. Angell C.A. Formation of glasses from liquids and biopolymers. Science. 1995. Vol. 2. P. 1924—1935. 32. 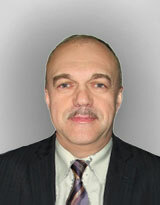 Senkov O. Correlation between fragility and glass-forming ability of metallic alloys. Phys. Rev. 2007. Vol. 76. P. 104—202 . 33. Louzguine-Luzgin D.V. Vitrification and devitrification processes in metallic glasses. J. Alloys Comp. 2014. Vol. 586. P. 2—8. 34. Louzguine-Luzgin D.V., Belosludov R., Saito M., Kawazoe Y., Inoue A. Glass-transition behavior of Ni: Calculation, prediction, and experiment. J. Appl. Phys. 2008. Vol. 104. Р. 123529. 35. Novikov V.N., Sokolov A.P. Poisson’s ratio and fragility of glass-forming liquids. Nature. 2004. Vol. 431. P. 961. 36. Lu Z.P., Liu C.T. A new glass-forming ability criterion for bulk metallic glasses. Acta. Mater. 2002. Vol. 50. P. 3501 . 37. Suryanarayana C., Seki I., Inoue A. A critical analysis of the glass-forming ability of alloys. J. Non-Cryst. Solids. 2009. Vol. 355. P. 355—360. 38. Nishiyama N., Inoue A. Direct comparison between critical cooling rate and some quantitative parameters for evalua tion of glass-forming ability in Pd—Cu—Ni—P alloys. Mater. Trans. 2002. Vol. 43. P. 1913. 39. Yavari A.R. Small volume change on melting as a new criterion for easy formation of metallic glasses. Phys. Lett. A. 1983. Vol. 95. P. 165. 40. Louzguine-Luzgin D.V., Inoue A. An extended criterion for estimation of glass-forming ability of metals. J. Mater. Res. 2007. Vol. 22 P. 1378—1383. 41. Louzguine-Luzgin D.V., Setyawan A.D., Kato H., Inoue A. Thermal conductivity of an alloy in relation to the observed cooling rate and glass-forming ability. Philosoph. Magazine. 2007. Vol. 87. P. 1845—1854. 42. Louzguine D.V., Inoue A. Electronegativity of the constituent rare-earth metals as a factor stabilizing the supercooled liquid region in Al- based metallic glasses. Appl. Phys. Lett. 2001. Vol. 79. P. 3410. 43. Egami T., Waseda Y. Atomic size effect on the formability ofmetallic glasses. J. Non-Cryst. Solids. 1984. Vol. 64. P. 113. 44. Jiang Q., Chi B.Q., Li J.C. A valence electron concentration criterion for glass-formation ability of metallic liquids. Appl. Phys. Lett. 2003. Vol. 82. P. 2984 . 45. Debenedetti P.G., Stillinger F.H. Supercooled liquids and the glass transition. Nature. 2001. Vol. 410. P. 259. 46. Louzguine D.V., Inoue A., Saito M., Waseda Y. Structural relaxation in Ge—Cr—Al—Nd amorphous alloy. Scripta Mater. 2000. Vol. 42. Nо. 3. P. 289—294. 47. Busch R. The thermophysical properties of bulk metallic glass-forming liquids. JOM. 2000. Vol. 52. P. 39. 48. Лысенко А.В., Ляхов С.А., Хоник В.А., Язвицкий М.Ю. Сдвиговая вязкость металлического стекла Pd40Cu40P20 в условиях изохронного нагрева ниже температуры стеклования // Физика твердого тела. 2009. T. 51. C. 209; Lysenko A.V., Ljahov S.A., Honik V.A., Jazvickij M.Ju. Sdvigovaja vjazkost’ metallicheskogo stekla Pd40Cu40P20 v uslovijah izohronnogo nagreva nizhe temperatury steklovanija [Shift viscosity of metal Pd40Cu40P20 glass in the conditions of isochronous heating is lower than vitrification temperature]. Fizika tverdogo tela. 2009. Vol. 51. P. 209. 49. Aljerf M., Georgarakisa K., Yavari A.R. Shaping of metallic glasses by stress-annealing without thermal embrittlement. Acta Mater. 2011. Vol. 59. P. 3817. 50. Louzguine D.V., Ko M.S., Inoue A. Nanoscale icosahedral phase produced by devitrification of Hf—Au—Ni—Al and Hf—Au—Cu—Al metallic glasses. Scripta Mater. 2001. Vol. 44. Р. 637—642. 51. Абросимова Г.Е., Аронин А.С., Зверькова И.И. Фазовые превращения при кристаллизации аморфных сплавов Al—Ni—Re // ФММ. 2002. Т. 94. С. 1—6; Abrosimova G.E., Aronin A.S., Zver’kova I.I. Fazovye prevrashcheniya pri kristallizatsii amorfnykh splavov Al—Ni—Re [Phase transformations at crystallization of amorphous alloys of Al—Ni—Re]. Fizika metallov i metallovedenie. 2002. Vol. 94. P.1—6. 52. Greer A.L. Metallic glasses. Science. 1995. Vol. 267. P. 1947. 53. Louzguine D.V., Inoue A. Influence of a supercooled liquid on devitrification of Cu-, Hf- and Ni- based metallic glasses. Mater. Sci. Eng. A. 2004. Vol. 375—377. P. 346. 54. Louzguine D.V., Inoue A. Crystallization behaviour of Al-based metallic glasses below and above the glass-transition temperature. J. Non-Cryst. Solids. 2002. Vol. 311. Nо. 3. P. 281—293. 55. Louzguine D.V., Inoue A. Crystallization behavior of Ti50Ni25Cu25 amorphous alloy. J. Mater. Sci. 2000. Vol. 35. Nо. 16 . P. 4159—4164. 56. Louzguine D.V., Inoue A. Nanoparticles with icosahedral symmetry in Cu-based bulk glass former induced by Pd addition. Scripta Mater. 2003. Vol. 48. P. 1325. 57. Louzguine-Luzgin D.V., Xie G., Zhang Q., Inoue A. Effect of Fe on the glass-forming ability, structure and devitrification behavior of Zr—Cu—Al bulk glass-forming alloys. Philosoph. Magazine. 2010. Vol. 90. Nо. 14. P. 1955—1968. 58. Louzguine-Luzgin D.V., Kaloshkin S.D., Inoue A. Peritectic-Like Reactions Involving Glassy Phase. Rev. Advan. Mater. Sci. 2008. Vol. 18. P. 653—659. 59. Kim D.H., Kim W.T., Park E.S., Mattern N., Eckert J. Phase separation in metallic glasses. Progr. Mater. Sci. 2013. Vol. 58. P. 1103—1172. 60. Louzguine-Luzgin D.V., Wada T., Kato H., Perepezko J., Inoue A. In situ phase separation and flow behavior in the glass transition region. Intermetallics. 2010. Vol. 18. Nо. 6. P. 1235—1239. 61. Perepezko J.H., Hebert R.J. Amorphous aluminum alloys—synthesis and stability. J. Metall. 2002. Vol. 54. P. 34. 62. Колмогоров А.Н. К статистической теории кристаллизации металлов // Изв. АН СССР. Сер. Матем. 1937. Т. 3. С. 355; Kolmogorov A.N. K statisticheskoi teorii kristallizatsii metallov [On the statistical theory of crystallization of metals]. Izv. Akad. Nauk. USSR. Ser. Matem. 1937. Vol. 3. P. 355. 63. Johnson M.W.A., Mehl K.F. Reaction kinetics in processes of nucleation and growth. Trans. Amer. Inst. Mining. Met. Eng. 1939. Vol. 135. P. 416. 64. Avrami M. Kinetics of phase change III: granulation, phase change an microstructures. J. Chem. Phys. 1941. Vol. 9. P. 177. 65. Hono K., Hiraga K., Wang Q., Inoue A., Sakurai T. The microstructure evolution of a Fe73,5Si13,5B9Nb3Cu1 nanocrystalline soft magnetic material. Acta. Metall. Mater. 1992. Vol. 40. P. 2137. 66. Louzguine D.V., Inoue A. Nanocrystallization of Ti—Ni— Sn amorphous alloy. Scripta Mater. 2000. Vol. 43. P. 371. 67. He G., Eckert J., Loser W. Stability, phase transformation and deformation behavior of Ti-base metallic glass and composites. Acta Mater. 2003. Vol. 51. P. 1621. 68. Louzguine D.V., Kato H., Kim H.S., Inoue A. Formation of 2—5 nm size pre-precipitates of cF96 phase in a Hf—Co—Al glassy alloy. J. Alloys Compoun. 2003. Vol. 359. P. 198—201. 69. Louzguine-Luzgin D.V., Suryanarayana C., Saito T., Zhang Q., Chen N., Saida J., Inoue A. Unusual solidification behavior of a Zr—Cu—Ni—Al bulk glassy alloy made from low-purity Zr. Intermetallics. 2010. Vol. 18. No. 8. P. 1531. 70. Louzguine D.V., Louzguina L.V., Inoue A. Multistage devitrification of Mg—Ni—Mm and Mg—Ni—Y—Mm metallic glasses (Mm = mischmetal). Philosoph. Magazine. 2003. Vol. 83. P. 203. 71. Shechtman D., Blech L.A, Gratias D., Cahn J.W. Metallic phase with long-range orientational order and no translational symmetry. Phys. Rev. Lett. 1984. Vol. 53. P. 1951. 72. Louzguine-Luzgin D.V., Inoue A. Formation and properties of quasicrystals. Ann. Rev. Mater. Res. 2008. Vol. 38. P. 403—423. 73. Kelton K.F., Gangopadhyay A.K., Lee G.W, Hannet L,. Hyers R.W., Krishnan S., Robinson M.B., Rogers J., Rathz T.J. Xray and electrostatic levitation undercooling studies in Ti— Zr—Ni quasicrystal forming alloys. J. Non-Cryst. Solids. 2002. Vol. 312—314. P. 305. 74. Louzguine-Luzgin D.V., Zeng Y., Setyawan A.D.H., Nishiyama N., Kato H., Saida J, Inoue A. Deformation behavior of Zr- and Ni-based bulk glassy alloys. J. Mater. Res. 2007. Vol. 22. P. 1087. 75. Glezer A.M., Sundeev R.V., Shalimova A.V., Useinov S.S. Tendency of metallic crystals to amorphization in the process of severe (Megaplastic) deformation. Russ. Phys. J. 2012. Vol. 54. P. 898—905. 76. Oak J.J., Louzguine-Luzgin D.V., Inoue A. Investigation of glass-forming ability, deformation and corrosion behavior of Ni-free Ti-based BMG alloys designed for application as dental implants. Mater. Sci. Eng. C. 2009. Vol. 29. Nо. 1. P. 322—327. 77. Caron A., Kawashima A., Fecht H.J., Louzguine-Luzguin D.V., Inoue А. On the anelasticity and strain induced structural changes in a Zr-based bulk metallic glass. Appl. Phys. Lett. 2011. Vol. 99. P. 171907. 78. Churyumov A.Yu., Bazlov A.I., Zadorozhnyy V.Yu., Solonin A.N., Caron A., Louzguine-Luzgin D.V. Phase transformations in Zr-based bulk metallic glass cyclically loaded before plastic yielding. Mater. Sci. Eng. A. 2012. Vol. 550. P. 358—362.